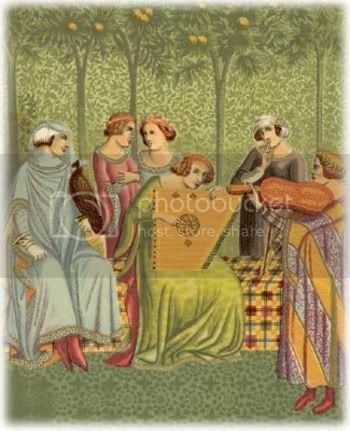 Oliver di Place: Women’s Music? I haven’t kept track recently. Do they still consider “women’s music” as a musical genre unto itself? The category arose in the 1970s, as a response to the feminist movement. You don’t generally hear of “men’s music”, but there it was. The idea was supposed to be that this was music that affirmed a woman’s identity as a woman, and served as a reaffirmation. I can see the value of that. But the label “women’s music” became something that was applied to a lot of music that wasn’t really very good, and probably wouldn’t have been released otherwise. It also meant that the good “women’s music” that came out wasn’t being heard by a male audience that might well have enjoyed it. If you look over my reviews and Spotlights, you will see that I post a lot of music by women, possibly more than by men. I am a man, but I don’t like certain things that are considered male attributes. Music that is aggressive, or threatens violence in anger, probably won’t make it here. I believe that conflicts should be settled by an open discussion of feelings whenever possible. (Let me add that I am not angel, and I can’t always resolve the conflicts in my own life in the manner I would like.) So maybe that leads me more to the music by women than would otherwise happen. But to me, “women’s music” should be for the widest possible audience of both genders, and should simply be music that is made by women, and represents an honest account of their feelings. Could the songs in this post have been done by men? I will leave that question to my readers and listeners. Joan Shelley’s album By Dawnlight can best be described as Americana. There are songs with a bluegrass flavor, outright rockers, and gorgeous country flavored ballads. But The Buzzard Song is a wonderful bluesy piece with a desert wind blowing through it. The song describes a dieing relationship with an eloquent metaphor, and it all works perfectly. Shelley shows herself to be a wonderfully emotional writer and singer. By Dawnlight is her debut, and I look forward to following her career from here. I don’t know the full story behind the song He Smiled Like an Angel, but there are ample clues. 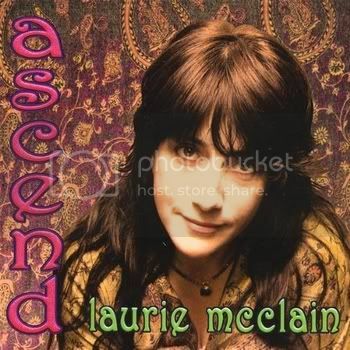 Laurie McClain’s brother Danny evidently died too young, and, on the album Ascend, McClain works through her feelings. Sometimes, she needs distraction, and she thinks of happier things for a song or two. There are songs where her sorrow appears to spill over into other parts of her life. And there are a number of songs where McClain turns to her faith, seeking comfort. Mourning doesn’t happen in a straight line, and the album as a whole feels very real. He Smiled Like an Angel is one of those songs that puts a lump in my throat. In a dream, McClain sees her brother in the afterlife, and receives the assurance that he has gone to a better place. The song is beautifully realized, and there was never any question in my mind about which song to post from this album. 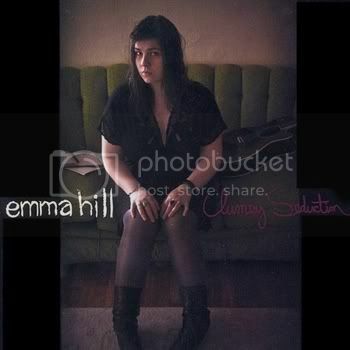 On the album Clumsy Seduction, Emma Hill wrestles with issues of addiction. Singing in a smoky alto that sometimes reaches into the soprano range in a cry of pain, many of the songs here sound like a cry for help. The songs tend to start with just Hill’s voice and guitar, and the sound is thin. But the rest of the instruments join in bit by bit, and the songs gather strength. On some songs, this takes quite some time. This technique allows Hill’s narrators to try to break out of their situations. As with McClain’s album, progress does not come in a straight line, and the music waxes and wanes in the space of a single song. Doctor gets this done faster than some of the songs, and it shows just how powerful this technique is. Throughout the album, Hill also displays a wonderful imagination with the musical textures she creates. This one will grow on you. 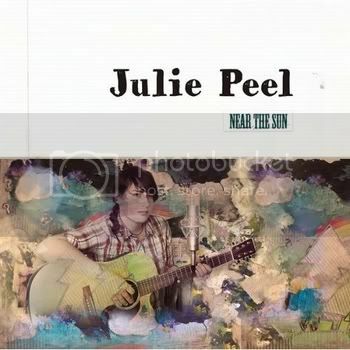 By my count, Julie Peel plays 11 different instruments on her album Near the Sun. This includes various types of simple keyboard fills and even kazoo on one song, but she also shows a real talent on piano and almost anything with strings. She also has great support on drums, stand up bass, and cello. This allows her to create a wonderful variety of musical textures. But none of that is for show. Near the Sun is a collection of heartbreak songs, and Unfold is a perfect example of how Peel gets this across. The rhythm section sets up a heartbeat, and Peel sings over that, with the emotion of her vocal enhanced by commentary from the cello. It all works beautifully, and Peel’s words say all they have to. The song is mournful, but the lyric is understated in a way that makes it that much more powerful. When I reviewed George Wirth’s album The Last Good Kiss, I praised his talent for songwriting. There was only one song on the album that Wirth did not write, and that was Dreamland by Janey Todd. Wirth obviously felt that Todd’s song was good enough to stand alongside his own. That’s high praise, and I agree with it. Here are eleven more songs that prove that Dreamland was no fluke. Alcatraz is a tall tale with a skewed sense of humor. Whistle Dixie is a saucy kiss-off. Elsewhere, there are songs of relationships gone awry. Throughout, Todd speaks her mind, and doesn’t worry about who she might offend. She sees the world in her own way, and it’s a fascinating place. The music ranges from folk-rock to rock, and Todd has a great feel for what each song needs. Her voice sometimes reminds me of Michelle Shocked in her perkier moments, and sometimes of Lou Reed at his most melodic. It works beautifully. How Much? shows off her technique well, and as happens throughout this album, the emotion comes through loud and clear. 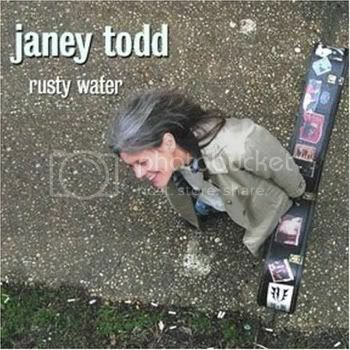 I'm thrilled to see that you have reviewed Janey Todd's album, "Rusty Water". It deserves to be heard and acknowledged. Thank you. Janey is probably one of the most respected songwriters, male or female, on the Asbury Park music scene. She's one of a kind, and she's the real deal!